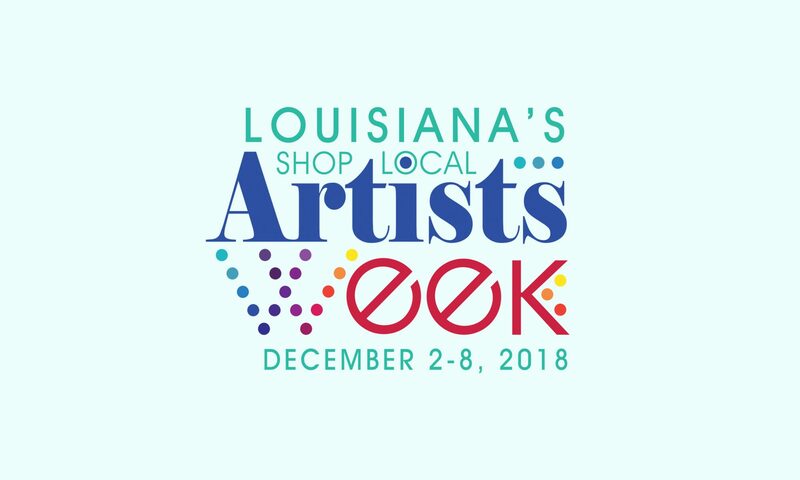 Louisiana’s Shop Local Artists Week initiative was founded by Northshore Cultural Economy Coalition in St. Tammany Parish, Louisiana. Presented by Senator Sharon Hewitt and Representative Greg Cromer, the Senate Concurrent Resolution passed unanimously in the House and Senate on April 25, 2017. See the Concurrent Resolution here: Louisiana-2017-SCR20-Enrolled. In 2018, Americans for the Arts adopted Shop Local Artists Week as a nationwide event in support of arts and artists. Events will take place during the first full week of December in communities throughout the nation. The purpose of these events is to create awareness as to the many cultural offerings in our communities and to generate awareness as to the economic impact of the arts. It’s a great time to celebrate the arts organizations and artists of all genres who provide cultural enrichment to our lives. It is the mission of the Northshore Cultural Economy Coalition to facilitate growth, development and increased awareness of the cultural economy and its impact by focusing on coalition building, public policy, business support, outreach, advocacy and arts education. Membership is free and open to all cultural economy workers, organizations and businesses. For more information, visit NorthshoreCEC.org or email info@NorthshoreCEC.org.